Providing guidance on the issues you need to consider when planning and designing your community engagement process. Working within both Community Planning structures and the wider context, building supportive alliances, and advocacy and lobbying for change. Suggesting how an outcomes approach should be applied to community planning and providing tools and pointers to good practice. 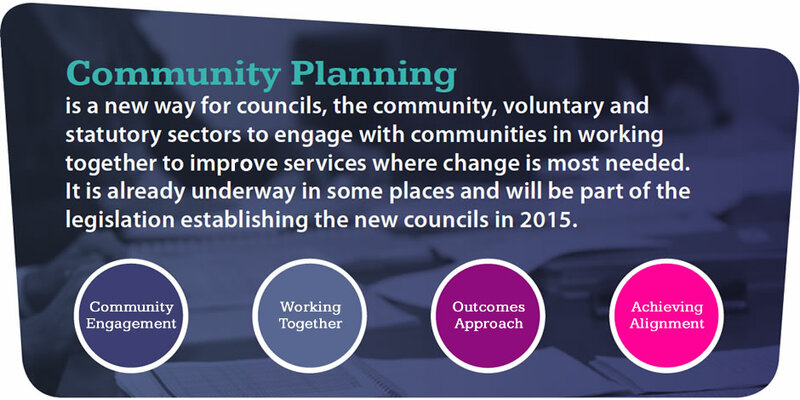 Ways in which services and activities can be better coordinated across the public, community and voluntary sectors, to their mutual benefit.